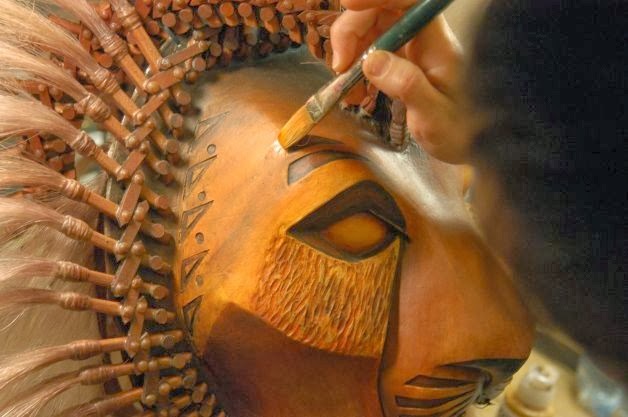 ATLANTA (March 4, 2014) – In partnership with Disney’s THE LION KING and Fifth Third Bank Broadway in Atlanta, four iconic masks and a puppet from the world famous Broadway musical will soon be on display for Atlanta fans to enjoy. Beginning Tuesday, March 11, THE LION KING: Up Close will be featured at the Center for Puppetry Arts, leading up to the limited engagement of THE LION KING at the Fox Theatre, April 10-27. The exhibit will run through Sunday, April 27. Puppetry is used extensively in THE LION KING, allowing the actors to bring the animals to life on stage. THE LION KING: Up Close will showcase Julie Taymor and Michael Curry’s award-winning designs, and guests will get an intimate look at the Simba, Nala, Mufasa and Scar masks as well as the Zazu puppet used in the Broadway production. Plus, visitors will learn more about THE LION KING prior to its highly anticipated return engagement in Atlanta. Entrance to THE LION KING: Up Close is included with admission to the Center for Puppetry Arts. To make the most of a visit, patrons are encouraged to enjoy a performance, such as WEATHER ROCKS! (through March 23) or attend a Create-A-Puppet Workshop where they can make their own puppet to take home. For tickets and full event listings, call 404-873-3391 or visitwww.puppet.org. 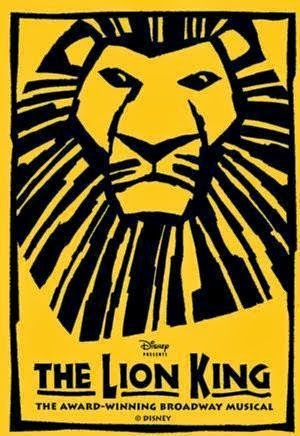 THE LION KING will play at the Fox Theatre April 10-27 as part of the Fifth Third Bank Broadway in Atlanta 2013/2014 season. Tickets are available at the box office (660 Peachtree St NE, Atlanta, GA 30308), online at www.broadwayinatlanta.com or by calling 1-855-285-8499. For more information on THE LION KING, visit www.lionking.com.